Good Morning TMS fans! Thanks for stopping by for another challenge. I have some really super cards to share with you from my amazing Design Team. They are the best team ever!! This was a really fun sketch to draw - it's funny how once I got started drawing one day, I couldn't stop! This is actually the 7th sketch that I drew a few weeks ago when I started formulating the idea of this challenge blog. 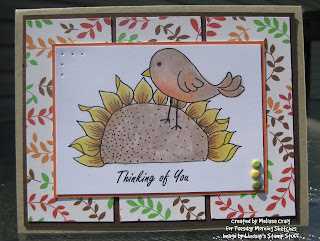 This gorgeous card was created by Theresa. Where has the time gone? Boy I wonder that myself a lot! Isn't this card just beautiful?! I love her attention to detail, right down the stitching she did. While she was visiting here in June, she purchased a little sewing machine - it's cool to see what she's doing with it. Lovely! 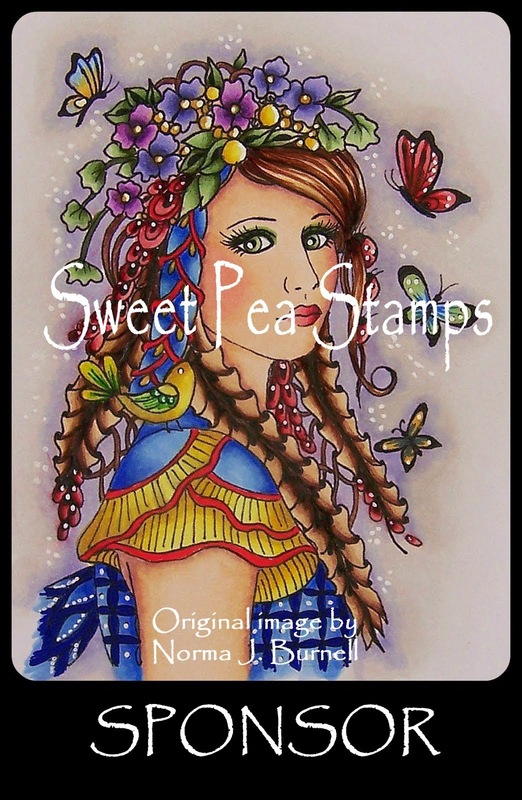 This beautiful card is from Karin and I LOVE her interpretation of the sketch. It's awesome!! The basic elements of the sketch are there, but this is so Karin to take it to the next level! She is really good at coloring and she's particularly fantastic with super defined line stamps. Very nicely done. 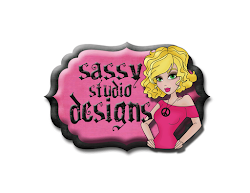 This little Sweetie is from Joni's collection at Inktegrity. 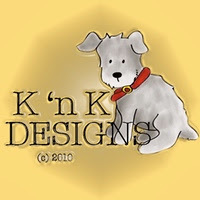 I am so excited that Joni has decided to stick around and will continue to design for Tuesday Morning Sketches. 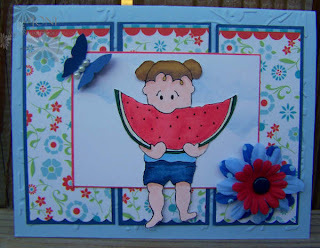 The colors she chose are fabulous (they also work for TPE's challenge, too) and Sweetie just pops from the card. You could almost see the juice that's dripping down her chin! And here's my card. I'm pleased with the results that I got from using Lindsay's Stamp Stuff Primative Bird and he's only $1!! For my base I used Kraft card stock, then the next layer I used is Chocolate Chip. My decorative paper is from a Martha Stewart Classic Woodland paper pack that I picked up while grocery shopping at Wal-Mart. It doesn't count if it's included in the groceries, right? Did you know they now carry Crop-a-diles? I gotta figure out how to squeeze that into the grocery budget! Anyway, I used my Koh-i-noor pencils & OMS to color the image and I am so pleased with how well it blended. Thank you to Lindsay for being our super awesome sponsor this week. 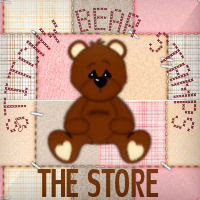 Be sure to click on her blog link because her Design Team (me, too) will be playing along on Thursday. As you can see, I got Mr. Linky set up. So when you link your card be sure to link directly to your entry. I look forward to this next week and seeing what everyone creates!! 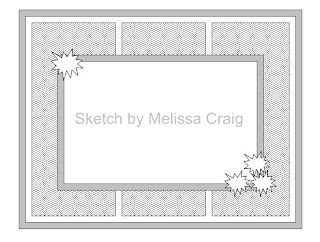 great sketch Mel! I will have to try my hand at it! I linked up my card! Another great sketch Melissa! I really enjoyed creating my card with it. I linked it and hope it works! Great sketch!!! LOVE it! My creation is linked up! Thanks!! This sketch is great! I made a card, but, am not sure how to link it to this post. I will try to email it to you. SO HERE IS MY CARD- i love your sketch!! I'll definitely be playing along again with this one! Yay! super dt cards again :) and i had a lot of fun with this sketch melissa thanks!!! The DT did a fab job on the sketch. This is my take on your wonderful sketch. Love your site, wishing you much success, look forward to coming back some more. Thanks for another great challenge. I've linked my card up for you to see. Lovely sketch. 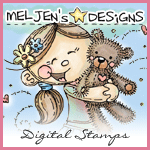 I added my card with Mr Linky but just in case it goes on the fritz, you can also see my card here . This sketch challenge is now closed. Mr. Linky has 16 links. If you want to play along and link, that's fine, but you will not be eligible for a prize. Please come back on Tuesday, July 21st for the next sketch.